Following the meeting of ALROSA's special commission, the Company President Andrey Zharkov signed an order to give to the fact of a gem-quality diamond extraction the name Mothers of Russia. The diamond of '2 Black Sawables 3 colour' quality contains small graphite-sulphide inclusions. 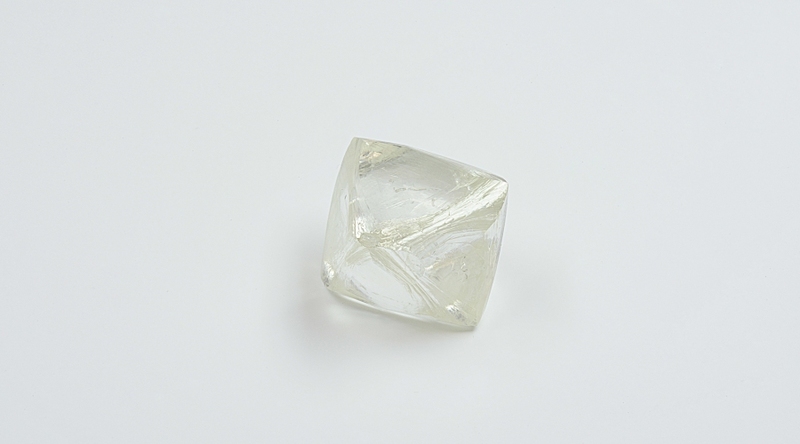 ALROSA is the world's largest producer of rough diamonds in carats. ALROSA is engaged in exploration, mining and sales of diamonds. The Company's operations are located in the Republic of Sakha (Yakutia) and the Arkhangelsk Region of Russia. In 2015, the Company produced 38.3 million carats of rough diamonds; 2014 revenue was RUB 224.5 billion.